Holding on is believing that there’s only a past; letting go is knowing that there’s a future. One of the great lessons that come with age is understanding that you cannot change what has already happened and understanding that much of the time you cannot change what is. I really feel empathy for so many of the people I visit with who let their misery linger not understanding that if they let it go they could move on to things that would make them happier. There is a lot to be said for realizing that everyday provides us with a new start and that there is little value in letting the past drag us down. Not long ago I got this story from Mark and Angel Chernoff that I think is worth reading as it does help us understand the value of letting go. The moral: It’s important to remember to let go of your stresses and worries. No matter what happens during the day, as early in the evening as you can, put all your burdens down. Don’t carry them through the night and into the next day with you. If you still feel the weight of yesterday’s stress, it’s a strong sign that it’s time to put the glass down. A young man who was an avid golfer found himself with a few hours to spare one afternoon. He figured if he hurried, and played very fast, he could get in 9 holes before he had to head home. Just as he was about to tee off, an old gentleman shuffled onto the tee and asked if he could accompany the young man. Not being able to say no, he allowed the old gent to join him. To his surprise the old man played fairly quickly. He didn’t hit the ball far, but plodded along consistently and didn’t waste much time. I stayed in a really old hotel last night. They sent me a wake-up letter. When I arrived for my daughter’s parent-teacher conference, the teacher seemed a bit flustered, especially when she started telling me that my little girl didn’t always pay attention in class and was sometimes a little flighty. A blonde was shopping at K-Mart and came across a shiny silver thermos. She was quite fascinated by it, so she picked it up and took it over to the clerk to ask what it was. So she bought the thermos and took it to work the next day. Her boss, who was also blonde, saw it on her desk. “What’s that?” she asked. “Why, that’s a thermos… it keeps hot things hot and cold things cold,” she replied. Hi, sorry I can’t stop now I am off to a meeting. Just so you will have something to read while doing what ever you do when you read I am sending you this dog-eared Daily from years ago. 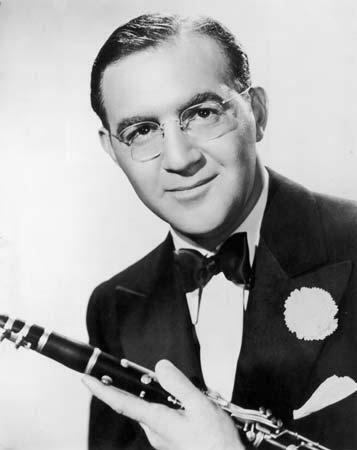 It’s the birthday of one of my all-time favorite musicians, Benny Goodman. He was known as the “King of Swing,” born in Chicago in 1909, the eighth of twelve children of an immigrant tailor. When he was ten years old, the local synagogue offered him music lessons and a free loaner clarinet to practice on. At the age of 16, he joined Ben Pollack’s band along with Glenn Miller, Jack Teagarden, and Jimmy McPartland. He had a reputation of being not the most likeable guy in the world, but he sure could play. His Carnegie Hall Concert in, I think 1938 is still a mind blower. The music of today is not my cup of tea, but I remember the days when Jazz and R&B were not appreciated by the seniors of those days, maybe we tend to live in our pasts. This is my week for the Doc’s, yesterday I went to get a clean bill of health from my family physician, after all, my shipboard infection was gone, wrong! Back Friday for more blood work. Stock tip of the day – buy medical. I’m Fine – How are you? And when I talk, I talk with a wheeze. But I’m awfully well for the shape I’m in. And my diet I hate to think about. And arch supports I need for my feet. Or I wouldn’t be able to go out in the street. But every morning I find I’m all right. My memory’s failing, my head’s in a spin. But sometimes I wonder, as I go to bed. And my glasses on a shelf, until I get up. Is there anything else I should lay on the shelf? Is my get-up-and-go has got-up-and-went! Of all the places my get-up has been. Pick up the paper and read the obits. So I eat a good breakfast and jump back into bed. Is that for you and me, who are growing old. Than to let people know the shape we are in. Is this really what we have to look forward to? A vacationer e-mailed a seaside hotel to ask its location. “It’s only a stone’s throw away from the beach,” he was told. “But how will I recognize it?” asked the man. My #1 goal is to always speak well of others. My #2 goal is to make sure I don’t end up like the rest of those losers. A man was annoyed when his wife told him that a car had backed into her, damaging a fender, and that she hadn’t gotten the license number. “What kind of car was he driving?” the husband asked. At that, the man decided the time had come for a learning course, and so for the next few days, whenever they were driving, he made her name each car they passed until he was satisfied that she could recognize every make. I want to have children, but my friends scare me. One of my friends told me she was in labour for 36 hours. I don’t even want to do anything that feels good for 36 hours. “Each evening bird lover Tom stood in his backyard, hooting like an owl – and one night, an owl called back to him. For a year, the man and his feathered friend hooted back and forth. He even kept a log of the “conversation.” Just as he thought he was on the verge of a breakthrough in interspecies communication, his wife had a chat with her next door neighbor. “My husband spends his nights … calling out to owls,” she said. Your greatest power is to be… More loving, more courageous, more joyous, more friendly, more sensitive, more aware, more forgiving, more tolerant, more humble, more patient, more helpful. In essence, the power to be a better human being. I was with some community leaders the other day who were disappointed that there were not more of our community’s top leaders volunteering. I suggested that we should focus on the non-leaders when we look for good people. Some of the smartest people with the kindest hearts and willing hands are too often overlooked. For me I have had more pleasant and positive experiences with those who are overlooked then many of the well-known and many because they are humble and don’t like to bask in the spotlight. I have learned there is a lot to be said for “beauty is in the eyes of the beholder” I think it is also true that there is much beauty to see if you just look. I just love the people I meet while volunteering, working with the Salvation Army and our cities leading senior organization. I have found that the world is full of potential friends but we must be ready to acquire them. So my friends please don’t overlook the humble for that is where some of the best of the best are found. Here is a piece by Ralph Marston that I really like, I hope you will also. 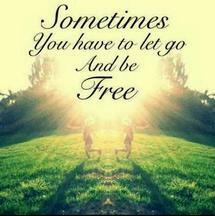 When you can get free from the demands of your ego, you also free yourself from most of your self-imposed limitations. In practicing genuine humility, you will find enormous power. Get beyond the desire to control others, and you vastly improve your ability to control your own actions. Let go of the need to be right, and you open yourself to experience new truth. Get free of the need to blame, and your own sense of responsibility grows stronger. Stop seeking to place judgments on others, and you’re free to powerfully improve your own actions. Give up the thought that you’re better than everyone else, and a whole new world of opportunity opens up to you. Stop seeking unfair advantage, and you’re free to develop an unstoppable effectiveness. Quit demanding the most and start expecting the best. You’ll experience a level of true abundance that you never before could have imagined. Live each moment with humility, love, respect and gratitude for the whole of life that surrounds you. And you will find a treasure that has no end. 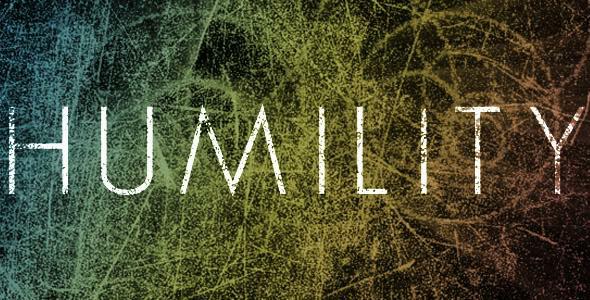 Humility does not mean thinking less of yourself than of other people, nor does it mean having a low opinion of your own gifts. It means freedom from thinking about yourself at all. * Give us this day our deli bread! Glory be to the Father and to the Son and to the Whole East Coast. * Dust Around the Throne. A smart husband buys his wife very fine china so she won’t trust him to wash it. You’re sitting on a park bench and a Boy Scout comes up and helps you cross your legs. Your Insurance Company has started sending you their free calendar…a month at a time. At cafeterias, you complain that the gelatin is too tough. You run out of breath walking DOWN a flight of stairs. You look both ways before crossing a room. You come to the conclusion that your worst enemy is gravity. You find your mouth making promises your body can’t keep. You start beating everyone else at trivia games. You frequently find yourself telling people what a loaf of bread USED to cost. Your back goes out more than you do. Cafeteria food starts tasting GOOD. You realize that a stamp today costs more than a picture show did when you were growing up. Many of us are at the “metallic age” – gold in our teeth, silver in our hair, and lead in our pants. A rancher needs a bull to service his cows but needs to borrow the money from the bank. The banker who lent the money comes by a week later to see how his investment is doing. The farmer complains that the bull just eats grass and won’t even look at the cows. The banker suggests that a veterinarian have a look at the bull. The next week the banker returns to see if the vet helped. The farmer looks very pleased. “Just gave him some pills,” replied the farmer. “What kind of pills?” asked the banker. 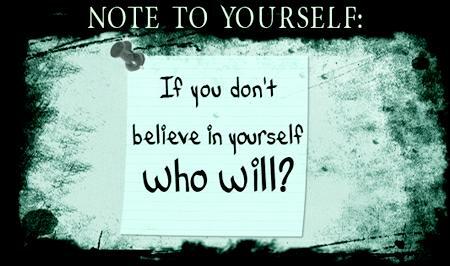 Follow your dreams, believe in yourself and don’t give up. Our annual Memorial Day in the US is now behind us and it traditionally marks the unofficial beginning of summer which in the view of many will end when we celebrate Labor Day in September. In theory it means more leisure time and less responsibility, in practice I have never found it to be like that. In fact my most productive time has often been in the summer when I have more time to invest in becoming the person I would like to be. I don’t know about you but I always seem to have things I have to put on the back burner because of other duties and demands. I have found that getting to something worthwhile that has been lingering is as rewarding as reading the traditional summer novel or in frivolous pursuit. So it is not that I will find more hours in the day but rather folks won’t fill as many of the available hours so I will be free to do what I please. The people who I have sympathy for are those who have given up on themselves and view the summer doldrums as a place to hide from what they believe is their inadequacies. It pains me when I see people who really are so much better than they think they are but have talked themselves into believing that they have little to offer. I know you are not one of those folks but you probably know someone who is. If you do you might want to share this piece of advice that has been floating around for a few years. There may be days when you get up in the morning and things aren’t the way you had hoped they would be. That’s when you have to tell yourself that things will get better. There are times when people disappoint you and let you down. But those are the times when you must remind yourself to trust your own judgments and opinions, to keep your life focused on believing in yourself. There will be challenges to face and changes to make in your life, and it is up to you to accept them. Constantly keep yourself headed in the right direction for you. It may not be easy at times, but in those times of struggle you will find a stronger sense of who you are. So when the days come that are filled with frustration and unexpected responsibilities, remember to believe in yourself and all you want your life to be. Because the challenges and changes will only help you to find the goals that you know are meant to come true for you. Flying can be interesting; here are some flight announcements from the past. · In the event of a sudden loss of cabin pressure, masks will descend from the ceiling. Stop screaming, grab the mask, and pull it over your face. If you have a small child traveling with you, secure your mask before assisting with theirs. If you are traveling with more than one small child, pick your favorite. 6. Everyone’s head looks like an invitation to batting-practice. 8. You can’t believe they don’t make a tampon bigger than Super Plus. “I didn’t even see her,” admitted Mr. Peterson. “I’m afraid I didn’t notice that either,” said Mr. Peterson. It is a national holiday in my country today and I am taking the day off. But since we have readers now in many other countries I have decided to send you a piece I published on this day in 2006. 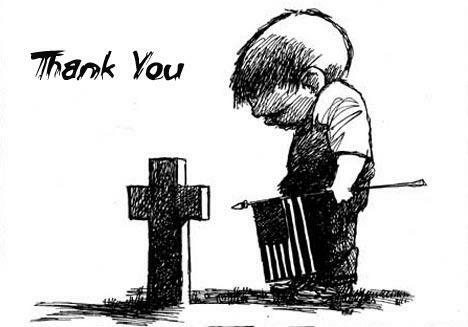 Today is a holiday in the United States, it is our memorial day, a day when many of us stop to remember those have given their lives in battle. For me it is also a time to mourn those who gave us so much of themselves to make a better world and are no longer with us. I mourn the loss of the unsung heroes, those who died for a worthy cause, those who died protecting our safety, and those who died serving others. We may never know their names but we need to remember that it was these heroes of the past that built the life we have today. I mourn the loss of Albert Switzer as he inspired so many of my generation to serve others. I mourn the loss of Mother Theresa as she taught us the value of humility and how kindness can brighten the life of all we touch. I mourn the loss of Anne Frank who taught us that humanity lives within our hearts and not in the imposed oppression that can be used to imprison our bodies. I mourn the loss of Helen Keller who showed us that with a good heart and dedication there are few barriers that cannot be overcome. I mourn the loss of so many that gave me the gift of their wisdom and their friendship, to a large extent it was they who made me what I am today, at least that which is good, the not so good I did on my own. I miss those who I no longer see, those that held my hand during the bad times and shared my joy during the good times. And I give thanks that so many of you continue to enrich my life. While I mourn the fact that so many are no longer with us, I celebrate the gifts they gave us. 1-When visiting Louisiana, remember that it is illegal to gargle in public…you can do just about anything else in public, but NO gargling! 2-And be careful that you do not get caught shaving while driving in Massachusetts or you’ll be in real trouble. 3-If you’re going to be driving through Utah, be alert because the birds have the right of way on the state highways. 5-Oh, and in Atlanta, not only is it illegal to tie your giraffe to a telephone pole but if you get caught dressing a mannequin without shutting the window shades, you could be in big trouble. 6-When in Nebraska, keep in mind not to spit against wind because not only is it messy, its also illegal. 7-Eating out in Connecticut became so much more pleasant once the law requiring restaurateurs to provide separate nose-blowing and non-nose-blowing sections, went into effect. 8-And if you decide to order cherry pie while eating in Kansas, don’t waste your time asking it to be served with a scoop of ice-cream on top…it against the law. 9-In California, it’s against the law to peel an orange in your hotel room….I guess its ok to peel it in the hallway & then go into your room. 10-If you’re planning to do any fishing while visiting Chicago, be sure you don’t do it in your pajamas or you might spend the rest of your vacation in jail. 11-And if you’re going to set a fire under your mule, don’t do it in Ohio..yep, its against the law. Can you believe it? 12-Whistling under water will result in more than getting water in your nose, it will also get you put in jail if you do it in Vermont. 13-And while you and your beloved spouse are enjoying the Florida sun, don’t throw dishes if you happen to have a little disagreement with each other. If you break more than 3 a day, you could spend the rest of your vacation eating off of metal trays in the county jail. We’re not the only ones with the wacky laws. If you’re planning a trip out of the country be aware that…. 14-It is illegal to land a flying saucer in the vineyards of France. I had just pulled into a parking spot at the home improvement store when smoke and flames began pouring from under my hood. Frantic, I bolted into the store and ran up to the first clerk I saw. As luck would have it, he was standing behind the customer service counter. The airline was so cheap that instead of a movie, they put on a high school play. She said: I’m writing you to let you know that I have recently been diagnosed with a serious condition and there’s little hope of getting over it. The scientific world is frantically searching for a cure. This is an ailment others also suffer from and may be undiagnosed. It’s called “Butfirst Syndrome.” It’s like when I decide to do the laundry – I start down the hall and notice the newspaper on the table. Okay, I’m going to do the laundry – Butfirst I’m going to read the newspaper. After that, I notice the mail on the table. Okay, I’ll just put the newspaper in the recycle stack, – Butfirst, I’ll look through that pile of mail and see if there are any bills to be paid. Now where’s the checkbook? Oops! There’s the empty glass from yesterday on the coffee table. I’m going to look for that checkbook, – Butfirst I need to put the glass in the sink. I head for the kitchen, look out the window, notice my poor flowers need a drink of water. I put the glass in the sink, and darn it, there’s the remote for the TV on the kitchen counter. What’s it doing here? I’ll just put it away, – Butfirst I need to water those plants. Head for door and Ack! Stepped on the dog, who needs to be fed. Okay, I’ll put that remote away and water the plants. – Butfirst I need to feed the dog. At the end of day; Laundry is not done, newspapers are still on the floor, glass is still in the sink, bills are unpaid, checkbook is still missing, and the dog ate the remote control. AND, when I try to figure out how come nothing got done all day, I’m baffled, because I KNOW I was BUSY ALL DAY! I realize this condition is serious…and I should get help. Butfirst I think I’ll read all my email! A New York family bought a ranch out west where they intended to raise cattle. Friends came to visit and asked if the ranch had a name. Our cheer goes back to them, the valiant dead! And violets o’er each unforgotten head. I am not one of those who think that there is not a lot in today’s world that is better than it was years ago. For example I would not be visiting with you each day if not for the internet. 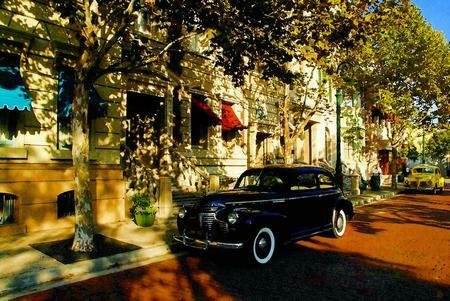 In many ways I have benefited from better health care, a vibrant city and the opportunity for extensive travel. It is quite a contrast to what the world was like in my youth and yet I still long for some of what we had. We saw each other more, families stayed together, neighbors were friends and maybe best of all we generally shared the same experiences. Most of you are younger than I am, in fact probably much younger so if you don’t mind I am going to give you peak back at the world I grew up in courtesy of this poem sent me years ago by a friend. A mower that you had to push to make the grass look neat. And no need for recording things, someone was always home. Unless it was at mealtime then in the kitchen where we ate. When meeting as a family those two rooms would work out fine. But always there was one of them with something worth the view. And if you wanted flavor there was Lipton’s® onion dip. And nothing can compare to snacks in Betty Crocker’s® book. No labels with a hundred things that make not a bit of sense. We all did things together — even go to church to pray. No one stayed at home because we liked to be together. But we knew where the others were without our own cell phone. And nothing can compare to watching movies in your car. Pack a lunch and find some trees and never need a reason. Have real action playing ball — and no game video. And didn’t need insurance or a lawyer to defend? Because he took an oath and strived to do the best for you. And when you went to pay for it you used your own money? Remember when the cashier person had to really count? And chemicals were not used on the grass to keep it green. And it was just a few cents more than going to the store. Without a lot of junk mail ads sent out by every store. And not just temporarily ’til someone blows their lid. There was a time when married life was built on give and take. And you would know the kind of car, the model and the make. They were streamlined, white walls fins, and really had some style. Was from a vinyl, big-holed record called a forty-five. And then the records would drop down and play one at a time. And always we were striving, trying for a better way. We now can even program phones with music or with rings. How can you explain a game, just kick the can and run? And for a nickel red machines had little bottled Cokes? I love the new technology but I sure miss those days. But I sure love to reminisce and walk down memory lane. “What’s that Joey?” asked Goldblatt. “What wuz all the grown-ups doin'”? I am meandering to a different drummer. A man’s car was stalled in the middle of a busy street, and the woman behind him honked continuously as he tried to restart it. Finally, the man got out and walked to the woman’s car. I’m not tense, just terribly, terribly alert. Exercise early in the morning before your brain figures out what you are doing. If you are going to try cross country skiing, start with a small country. The best part is still ahead of me – I haven’t experienced my ‘good old days’ yet. As a quick side note I want to share a message I got the other day from a Daily reader. Here is what she said. ….your words are always simple and from life, anyone can find themselves in. And it’s always positive. I am grateful and amazed that there are so many around the world who read the Daily. I always appreciate hearing from them. A few weeks ago Angel Heck wrote an article on self-reliance that I really agree with. She suggests that we are often stronger than we think we are and can improve our effectiveness by sharpening some of our core skills. Here is an edited version of her key points. 1. Curiosity − Joy comes easy to us in our youth because we haven’t become set too firmly in our ways. Our willingness to curiously assess new things and varying perspectives allows us to experience flashes of insight and beauty wherever we go. Those of us who fight the draw of our comfort zones as we age, who sustain our curiosity into our later years, learn a lot more and see far more beauty throughout our lifetime. Always remain curious and teachable. Keep an open mind and do not stop questioning and learning. Look forward, open new doors and experience new things. Do so because you’re curious, and because you know that today’s journey is always just beginning. 2. Creativity − When it comes to human growth, if curiosity is the engine, creativity is the steering wheel. Creativity is the most powerful instrument of progress – a mindset that endows resources with a new capacity to create possibility and growth. The world is moving so fast these days that those who say something can’t be done are often interrupted by those who are doing it. This is precisely why it’s important to exercise your creative mind on a regular basis. Ultimately, the creative learners inherit the world while the doubters and complacent minds find themselves perfectly suited for a world that no longer exists. 3. Resilience − Except for your own thoughts, there’s nothing that’s absolutely in your power. Knowing and accepting this gives you the ability to cope proficiently with life’s constant little inconveniences – a vital life skill we called resilience. Resilience is accepting reality, even if it’s less than the fantasy you had in your mind or the reality that was once yours. You can fight it, you can do nothing but complain about what you’re missing, or you can accept what you have and try to put it together to create something good. 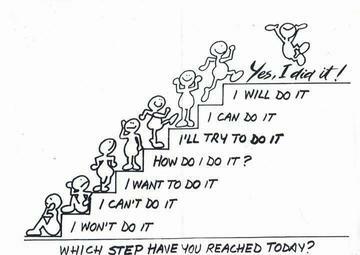 As you progress, life will inevitably challenge you on a regular basis. No matter how much falls on you, keep your head up and plow ahead. That’s the only way to keep the road to your dreams clear. 4. Patience − Patience is not sitting still. Rather, it’s mastering your time by applying the right principles in the right way to attain a long-term desired result. It’s moving forward steadily for as long as it takes to get where you want to go. Enduring the time between your departure and arrival requires a great deal of will. But no matter how tedious these moments of waiting are, you have to get used to the feeling, knowing that what you’re working toward is coming your way, even though it’s not with you at the moment. Ultimately the two hardest tests on the road to personal growth are the patience to wait for what you want and the courage not to be disappointed when it doesn’t arrive as soon as you had expected. Patience can be bitter, but the seeds you plant now will bear sweet fruit. These fruits are worth waiting for. There’s no advantage to hurrying through life and never tasting their sweetness. 5. Self-reliance − Self-reliance is the most important of all life skills, because without it you can’t practice any other life skill consistently. It’s honestly a virtue that brings all the rest together. Quite simply, self-reliance is the unswerving willingness to take responsibility for your life from this moment forward, regardless of who had a hand in making it the way it is now. It’s taking control of your life, finding your true self by thinking for yourself, and making a firm choice to live your way. It’s being the hero of your life, not the victim. Life constantly invites you to be who you are capable of being. Choosing to be self-reliant is accepting life’s invitation.